Sometimes I’m mean, and I call myself a failure. In thinking back to the beginning of 2015, I look at all the things I planned to do and accomplish and OH. And those of you who know me also know that I’m going somewhere with this. This is not really going to be a post about me throwing a huge, virtual pity party. I realized that there are a lot of ways we can look back at a year. As a writer who hasn’t done a whole lot of writing, that can feel like a bit of failure. I look at a blog that’s had weeks, sometimes a month, go by between posts, and I wonder what happened to all the words. I battle deadlines like the deadliest plague…AHEM…and just wish that the words flowed like they used to. Life looks so much different now, and here I am, staring down the end of another year and wondering what exactly happened during that year. It can be depressing if I stay there…but then I catch myself and remember that the answer is: A LOT. Sure, this year might not have turned out like I wanted or planned…but there was still a lot of good. There IS still a lot of good. Because the story He’s writing is good. Today I decided to make a list of the good from this year. Another year…spent with my sweet family, of serving my Father, of living the life in front of me well (mostly), of amazing friends and community, of word-sharing when there are words, of coffee, of running, of loving the blessings I’ve been giving. Of course, I could keep going…but it was so good for my heart to just look back…and look for the good. We’ve walked another year together, sweet dreamer friends, and I wonder if maybe you feel just a little like I did when you look back. I’m sure you’ve seen success, and maybe you wish that other dreams had turned out differently. Do you see failure or do you see blessings? 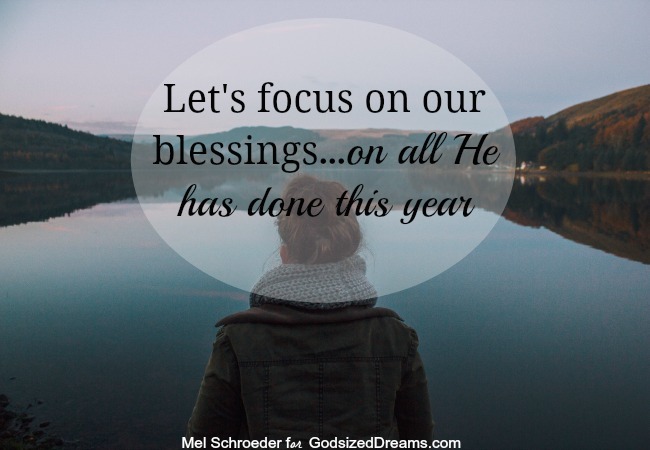 Let’s focus on our blessings…on all He has done this year. 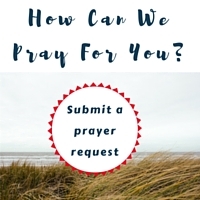 Will you share with me in the comments? When you look back at 2015, what’s one thing that just makes you smile, that reminds you of God’s goodness in your life? This has truly been the sweetest year yet. And this from “A Year without Sweets”! All because the Lord called me to let go of my sugar idol…and HE filled me up with greater sweetness. He gave me power to say no to a lifelong stronghold. He woke up my senses–both natural and spiritual–to see from a new perspective..to find my delight in Him. He has helped me walk closer with Him and seek Him and cling to Him in ways I never did before. I will never forget 2015. It has been a life-changing year! Thanks for sharing this Sabra! Sounds like a truly amazing year. I’m inspired! 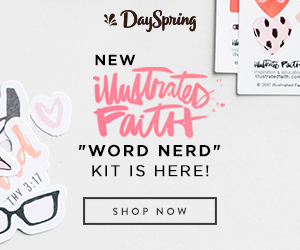 I agree…you are inspiring, Sabra! Thank you for being here and for sharing this. Sounds like an incredible year! Oh my dear friend! I love you…I love your writing…I love your thinking. You are one of my many blessings of this past year. And you are definitely one of mine…I’m so glad we had that weekend in October. I’m still smiling! 🙂 Love you and so grateful for you! Life can be hard, it can be right down terrible at times, and it’s definitely easier to focus on our failures. Thank you for the message to look for the good and find the blessings.